Official statement on the fake DepEd-ARMM appointment papers circulating in Lanao del Sur. 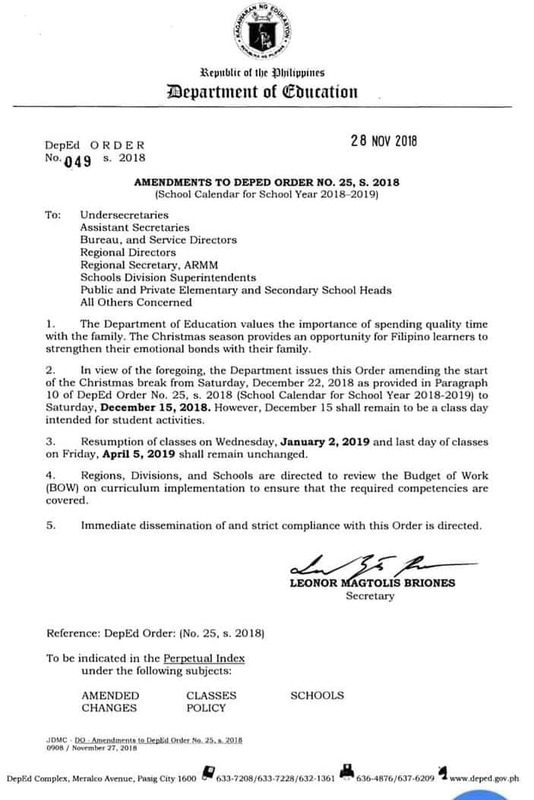 The Department of Education issues this Order amending the start of the Christmas break from Saturday, December 22, 2018 as provided in Paragraph 10 of DepEd Order No. 25 s. 2018 to Saturday, December 15, 2018. 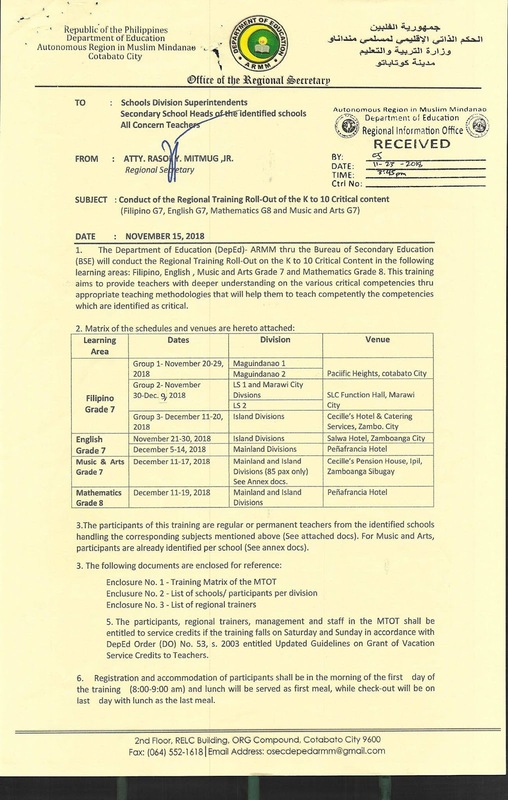 However, December 15 shall remain to be a class day intended for students activities. 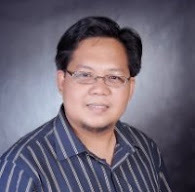 The Coalition of Moro Youth Movement (CMYM) will be conducting a series of peace advocacy forums on Republic Act No. 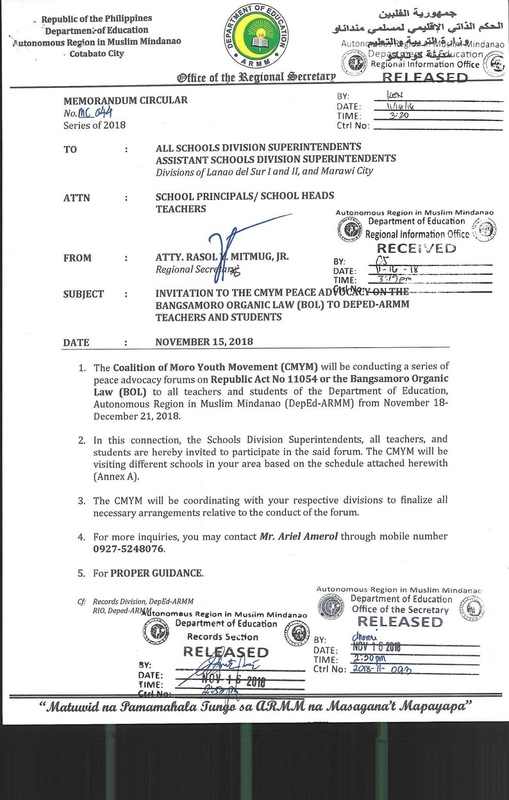 11054 or the Bangsamoro Organix Law (BOL) to all teachers and students of the DepEd-ARMM from November 18 - December 21, 2018. 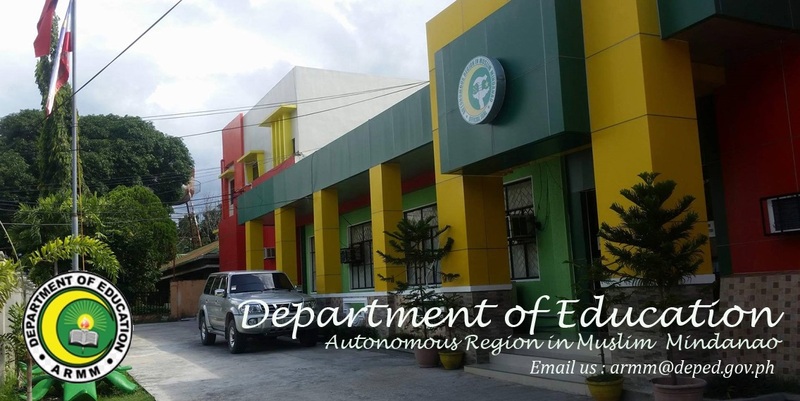 In this connection, the Schools Division Superintendent, all teachers, and students are hereby invited to participate in the said forum. Attached is the schedule per division and district. Please Memorandum Circular No. 044 s. of 2018 for more details. 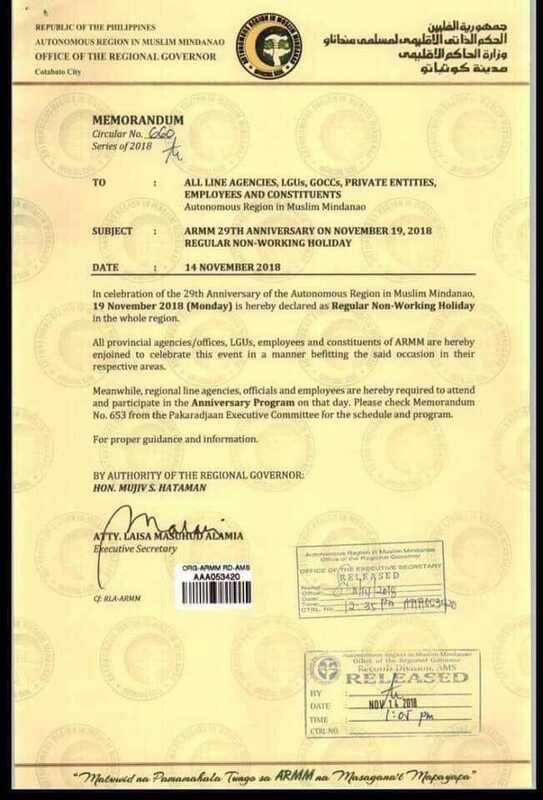 In celebration of the ARMM's 29th Anniversary, November 19 (Monday) is hereby declared as Regular Non-Working Holiday in the whole region. Meanwhile, regional line agencies, officials, and employees are hereby required to attend and participate in the anniversary program on that day. 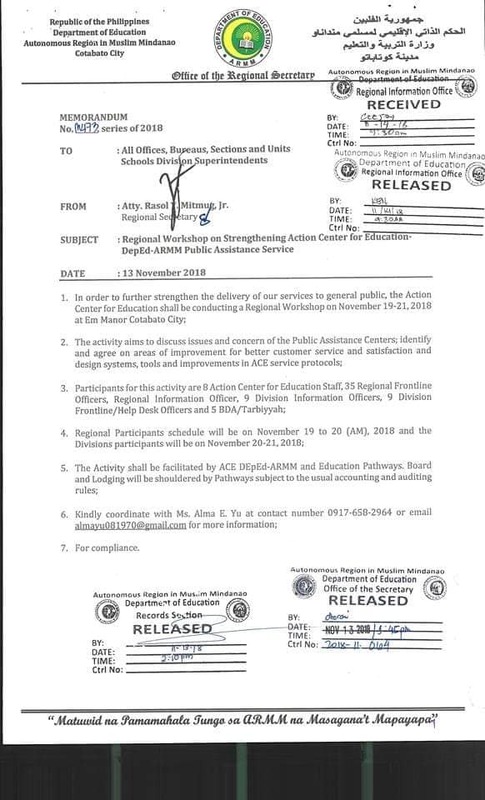 In order to further strengthen the delivery of our services to the general public, the Action Center for Education shall be conducting a Regional Workshop on November 19-21, 2018 at Em Manor Cotabato City. 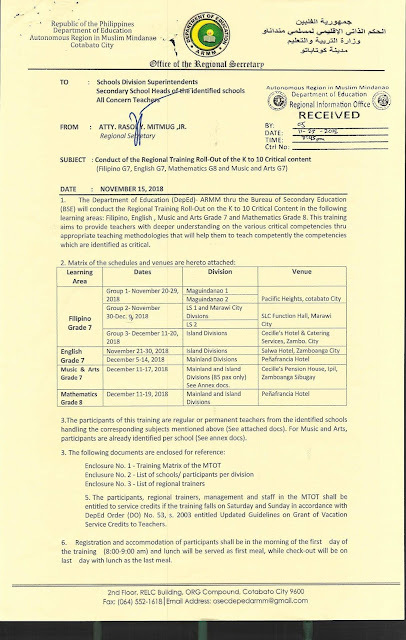 Attached are the schedules and activities for the said workshop. Please see Memorandum No. 473 series of 2018 for more details. 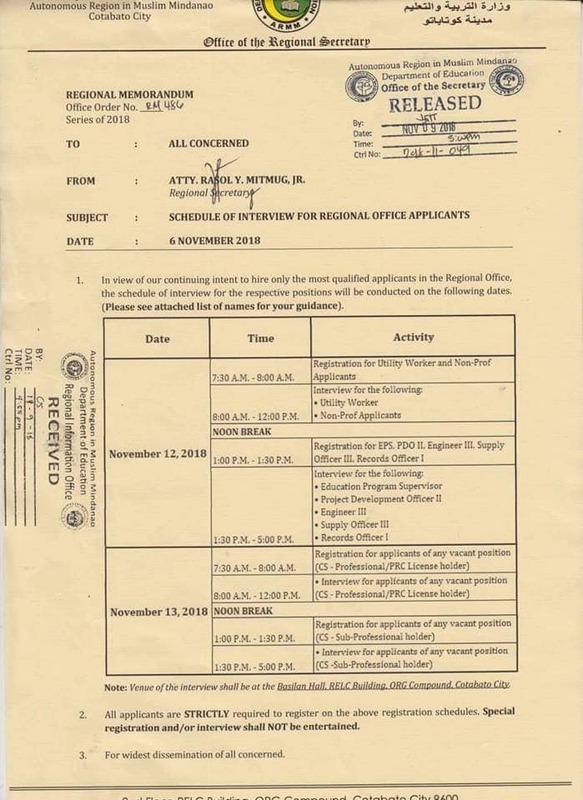 In view of our continuing intent to hire only the most qualified applicants in the Regional Office, the schedule of the interview for the respective positions will be conducted on the following dates. 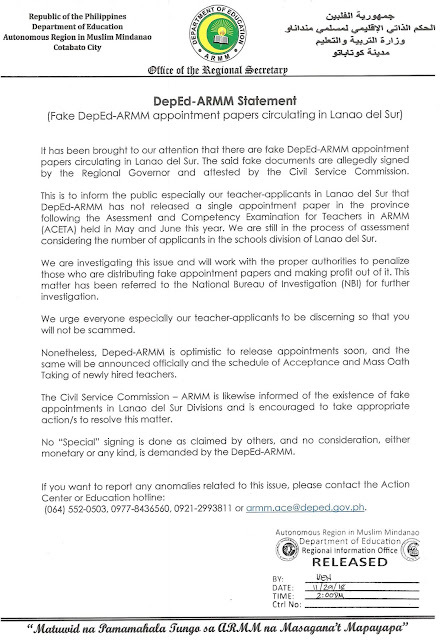 Attached are the list of names qualified for the interview. Please see Regional Memorandum Order No. 486 s. 2018 for further details. As per Memorandum Order No. 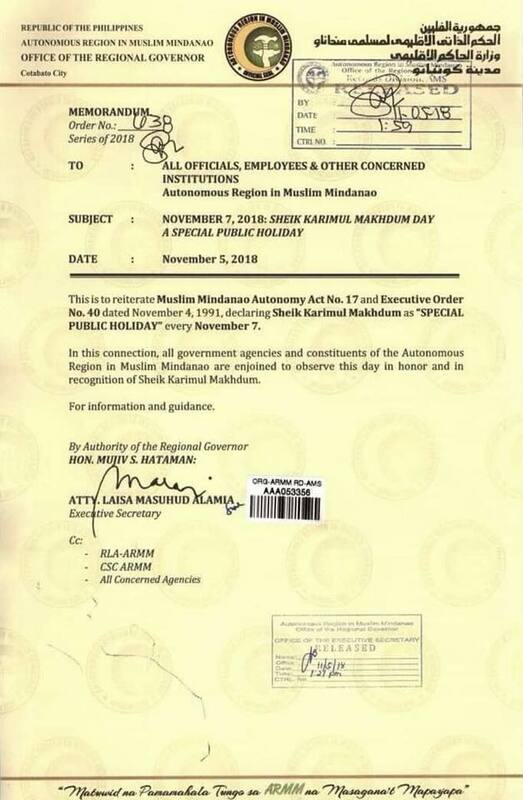 638, in recognition of Sheik Karimul Makhdum, November 7, 2018 (Wednesday) is declared as “SPECIAL PUBLIC HOLIDAY” in ARMM.